In the words of the great wrestling legend Ric Flair, “To be the man you have to beat the man.” The New York Rangers for the past four seasons have definitely wanted to be the best. They have come very close recently with three trips to the Eastern Conference Finals in the past four seasons. These trips included one Stanley Cup Final appearance in 2014 where the team fought every second, but were defeated by the Los Angeles Kings in the closest five game series you will ever see. As this season is upon us, the team once again will attempt a run at Lord Stanley’s Cup. Here are a few things to look for tonight and why the Rangers can win this game. These are two of the fastest skating teams in the National Hockey League that pride themselves on their transition games. Alain Vigneault is huge on fast-paced, up-tempo ice hockey and it is fun to watch. However, no team in the NHL can transition from defense to offense quite like the Chicago Blackhawks. 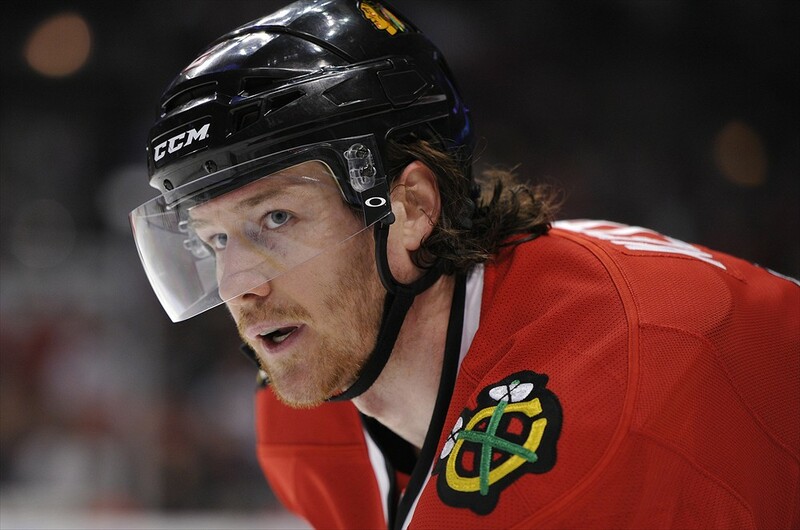 The Hawks have a plethora of puck-moving defenseman and it starts with Conn Smythe Award Winner Duncan Keith. Look for Keith to be his usual shut-down self tonight while putting the Rangers on their heels with his ability to pass the puck tape to tape and stretch the ice. The Rangers will be able to neutralize this because of their speed and defense. The Rangers top two lines will go in hard on the forecheck and put the same type of pressure on the Blackhawks tonight that they struggled with in the beginning of the Stanley Cup Final. The Hawks do have more skill top to bottom than New York, but the Rangers will show up tonight ready to play fast and compete. The Rangers defense is elite and arguably the best in the NHL. The first pair tonight will feature Ryan McDonagh, the complete package on defense, who will be more comfortable entering year two of his captaincy. He should be paired with Dan Girardi, longtime defense partner, and one of the toughest players in the NHL. The Rangers will then send out Marc Staal and Kevin Klein. This second pair are also workhorse defenseman that can defend and move the puck as well as play very well defensively. I expect to see veteran Dan Boyle paired with offensive-defenseman Keith Yandle on the Rangers third defense pairing. This defense is deep and one that prides itself on shutting down opposing stars. To me the player to watch tonight for the New York Rangers is Kevin Hayes. While predominantly playing on the third line last year, Hayes thrived and scored 45points (17G, 28A, +15) in his successful rookie campaign. Hayes was actually a Blackhawks’ first round pick in 2010 before choosing to sign as a free agent with New York after his four-year collegiate career ended at Boston College. It was a huge signing for the Rangers and was almost the equivalent of a first-round-pick. I would like to see Hayes play a bigger role this year and have him play with Derek Stepan and Chris Kreider on the team’s second line. Look for Hayes to make an impact tonight. 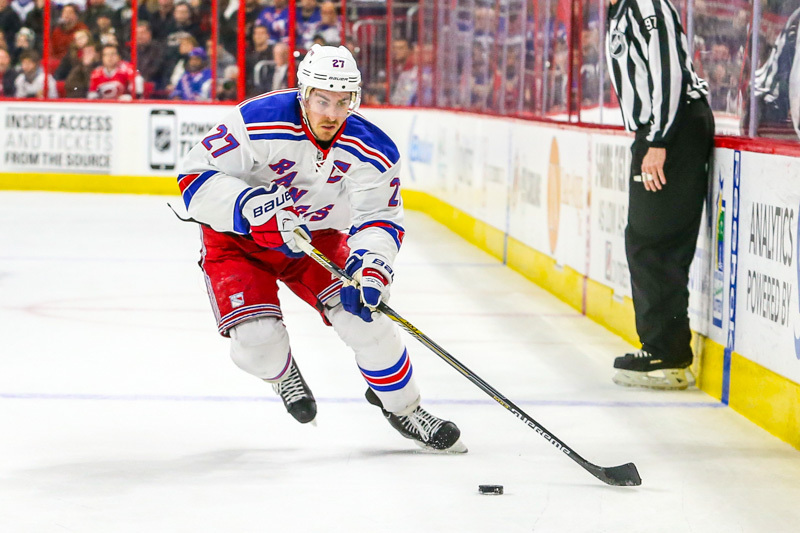 John Tortorella picks #NYR forward Kevin Hayes as his sophomore standout in 2015-16. Torts on NHLNL "I loved what he did in the playoffs." For the Chicago Blackhawks the player to watch tonight is Artem Anisimov the former New York Ranger and Columbus Blue Jacket center. We all know about the Hawks offensive firepower in Jonathan Toews, Patrick Kane and Marian Hossa. Patrick Kane skating on a line with Artem Anisimov and Andrew Desjardins during #Blackhawks' scrimmage.So, that's locked in. The team lost key contributors up front this offseason in Brad Richards, Patrick Sharp, Antoine Vermette and Brandon Saad. Anisimov seems like he has been in the league for awhile, but is still just 27-years-old. The Hawks will rely on Anisimov to center the team’s second line and play with wingers that by far have more skill than the players he has played with in the past. Can Artem Anismov get it done this year with the Hawks? When the Rangers and Blackhawks have gotten together recently in the regular season it has felt like a playoff game. The games are fast, tight-checking and low-scoring. Last year the Rangers won in overtime 1-0 in Chicago and the Blackhawks returned the favor with a 1-0 win at Madison Square Garden. The Rangers have a slight edge in goal with Henrik Lundqvist over the absurdly underrated Corey Crawford, who now has two Stanley Cup Championships. The Rangers for the most part return a similar core in the top six forwards while their bottom six has been revamped with new faces such as veteran center Jarrett Stoll, veteran Viktor Stalberg, young winger Emerson Etem and the young Jesper Fast. The Hawks meanwhile lost three players from last season that were featured in their top six. I feel that chemistry among a lot of new line combinations for the Hawks will take some time to develop. For these reasons I am going to go Rangers 2 and Blackhawks 1 tonight.